This month we are featuring a testimonial from our patient Max. We are happy to hear that our Vision Restoration Therapy had a significant improvement in his activities of daily life and that he is now able to drive again. “After my stroke in April 2017 I had suffered from a visual field defect to the left that restricted me tremendously. In the rehabilitation clinic I started working with a NovaVision program. Afterwards I started a therapy with a different provider, but felt not really looked after. 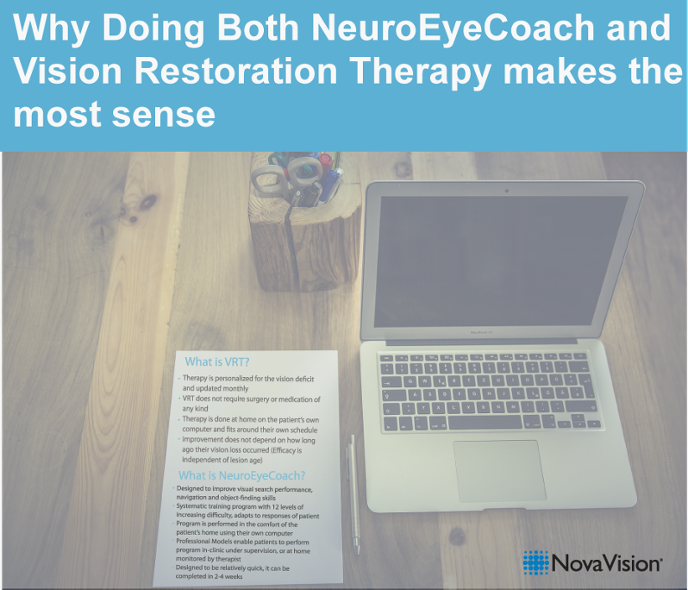 I then contacted NovaVision…and performed Vision Restoration Therapy for half a year two times per day. Through the whole time I received very good service and was well cared for. I noticed considerable improvements. Two independent visual field tests (at the eye doctor and the clinic) confirmed these improvements. To my surprise the defect decreased even in the far left periphery, even though this area was only “touched” by the stimulated region on the PC-screen. We hope that Max’s story will encourage you to evaluate our therapy suite more closely; many patients have benefited and we believe it should be considered in your next steps towards your visual recovery.